Shutterstock is one of the most popular stock photo agencies in the market. With well over a decade in business, they're the pioneers of the stock photo subscription, and the owners of what is arguably the largest royalty free photos collection in the web, with over 220 million files and counting. In Shutterstock, variety isn't a problem! 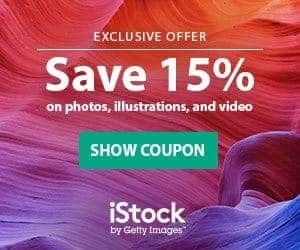 You will get 15% OFF from any stock photo subscription at Shutterstock for new customers. Save in your stock images using the Shutterstock Coupon Code code at check out. This coupon will save you 15% on any image subscription! This coupon gives you 15% off in your stock footage purchase with video packs! 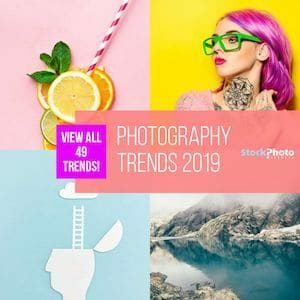 Have the scoop at Shutterstock's most popular images this year in our report of the Most Downloaded Photos of 2019, where this and other 5 big stock photo agencies shared their top 10 most sold images of this period. A very cool resource to know what is hot in Shutterstock right now! Shutterstock is one of the most popular stock photo agencies on the internet today –also one of the main agencies listed in our Best Stock Photo Sites Guide— and refer to themselves as simple, elegant and user-friendly. With a long history of stock image selling and buying, which placed them amongst the “Big 6” companies in this industry since their early days, Shutterstock always catered more to designers and corporate accounts that require large inventories of stock photos. For this reason, they developed a buying model that allows getting lots of Royalty-Free images constantly at cut prices: the stock photo subscription, a system that is now replicated at most major agencies. At first, this was their only offer, but in later years they expanded their client base to include users with smaller needs and added an on-demand package option that does not require a large investment or a high amount of downloads for the photos to be inexpensive. 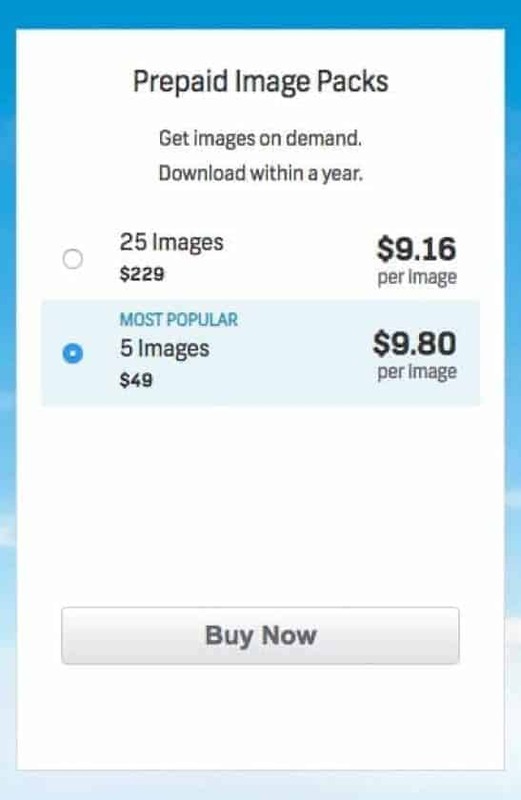 The business model, which is unique in the stock photo industry, favors new photos, customers who need many downloads per month, and has a one size image policy. Read more if you want to know what is Shutterstock? Shutterstock has been an innovator since it started and they got a lot of press complimenting their crowdsourcing ability in the early days of internet startups. To expand their reach in the microstock agency world, Shutterstock acquired Bigstock (previously known as Bigstockphoto) to increase their market share and customer options without changing the Shutterstock model. Shutterstock is international, innovative and big. They are the leading agency in microstock photo options and continue to add new updates to their stock photo agency. Searchable by: keywords, categories, colour, reverse image search, licenses and buying options with more detailed categories. Good searchability and easy to use. 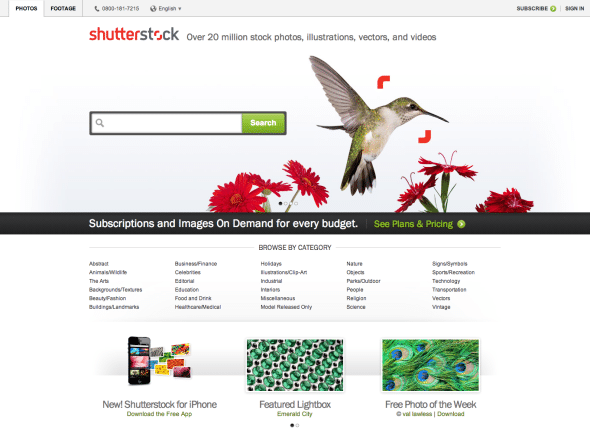 Shutterstock is a subscription only stock photo agency. They offer a standard license or on-demand subscriptions and have an enhanced subscription for alternate licensing options. Subscription buying options are transparent and clearly defined. 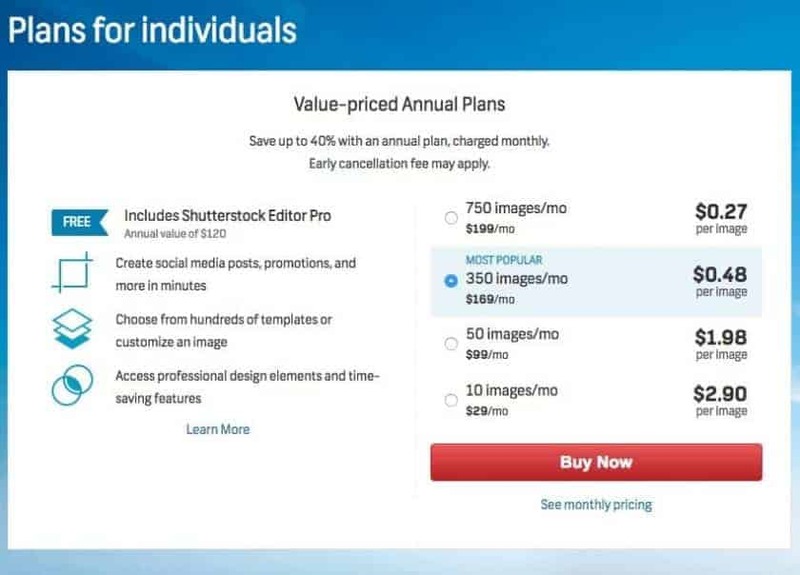 Shutterstock also introduced monthly billing so if you buy an annual subscription, you can pay by the month, not all up front (plus you save 20% with an annual). You can visit this Shutterstock pricing page for more information. Shutterstock started with this subscription plan that offers the largest size of photos, illustrations and vectors for one price. It makes the downloading process easy and less sizing decisions need to be made. This subscription is standard for Shutterstock buyers and makes image prices competitive with other stock photo agencies. Plans come in one and twelve-month options and start at $49 for 10 images a month ($29 with annual plan) making the price per image $4.90 (or $2.90). There are plans with 50, 350 and 750 downloads monthly, the latter being their all-time star product that –priced at $249 month-to-month and $199 per month with annual commitment– takes per-image price down to just $0.33/$0.22. Shutterstock has a good search engine for their image database. Their categories are extensive, they have included keyword prompting, the search tool is conveniently located and they have included a colour option that is easy to use and specific to designers color requirements. Editorial searches can be conducted separately. Shutterstock has standard and enhanced licenses with limited editorial licensed images available. They clearly state that images can not be used for templates for sale but they do have a merchandising option. Study their licensing terms and conditions so that you do not use images incorrectly and know when to buy the enhanced license. Graphic Design Tips and Tricks – Tips & Tricks is a helpful resource full of articles written by Shutterstock submitters covering a variety of topics to enhance your graphic design knowledge. The information is sporadic but is useful for designers who need or could benefit from some extra information. 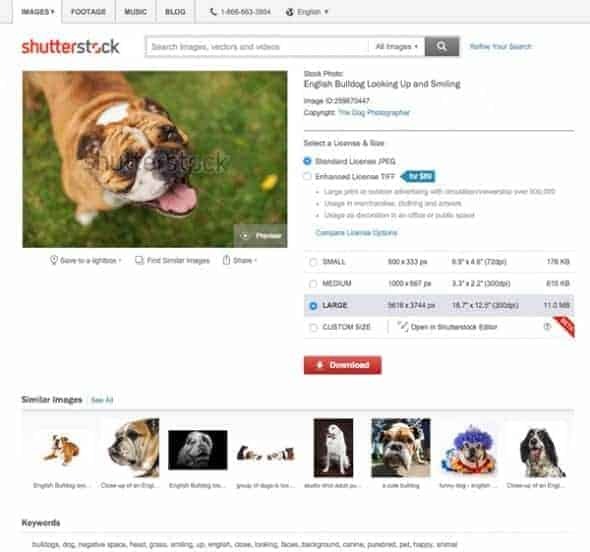 Shutterstock is a subscription plan only stock agency with their on-demand subscription being an inexpensive intro to their photo buying service. They are one of the ‘Big 6' stock photo agencies and their image library proves it with over 15 million images to choose from. The addition of their footage website makes Shutterstock a media marketplace not just a stock photo agency but keep in mind that these websites are separate and subscriptions can not be used for both sites.If you are looking for something a bit different in your buying options, check their sister website Bigstock, as this portion of their business offers credit purchases and requires a smaller investment for services.